Permanent home of the Gunnedah and District Historical Society. 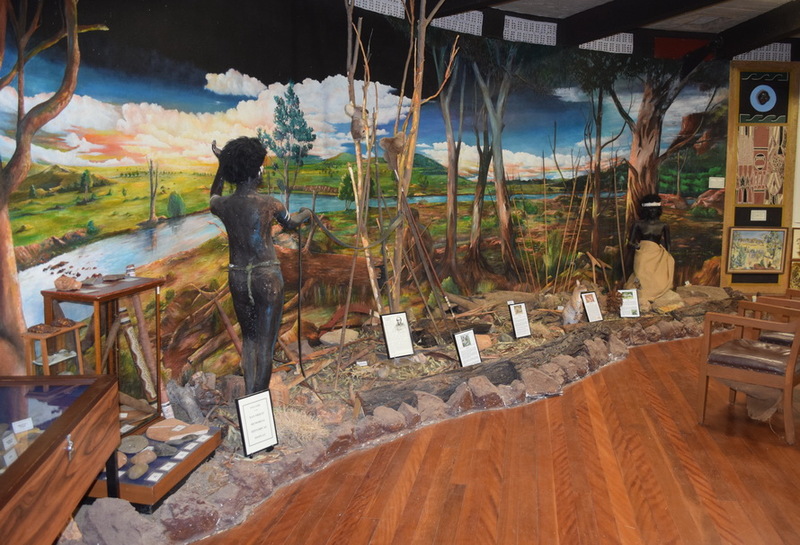 A mural depicts early aboriginal life and is supported by a display of artifacts collected from the district. Showcases a wide range of household items from different periods together with a large display of early clothing. 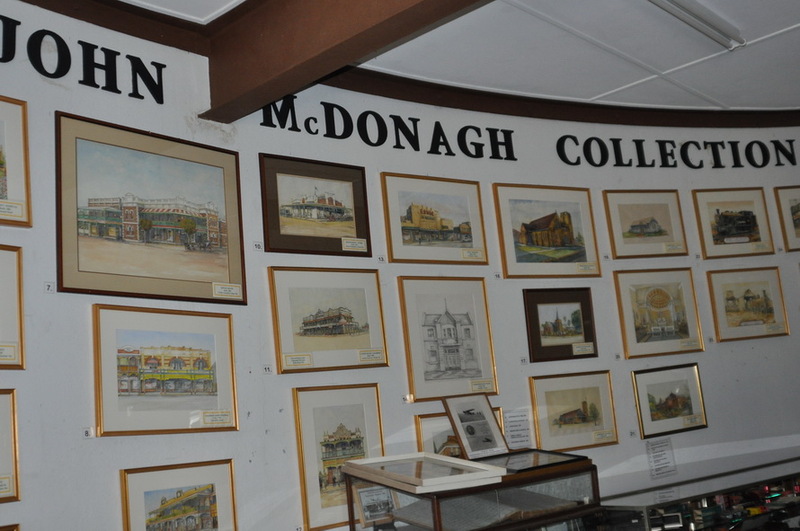 These artworks were created by local artist the late John McDonagh. He has captured many old buildings from early Gunnedah in watercolour and pencil. 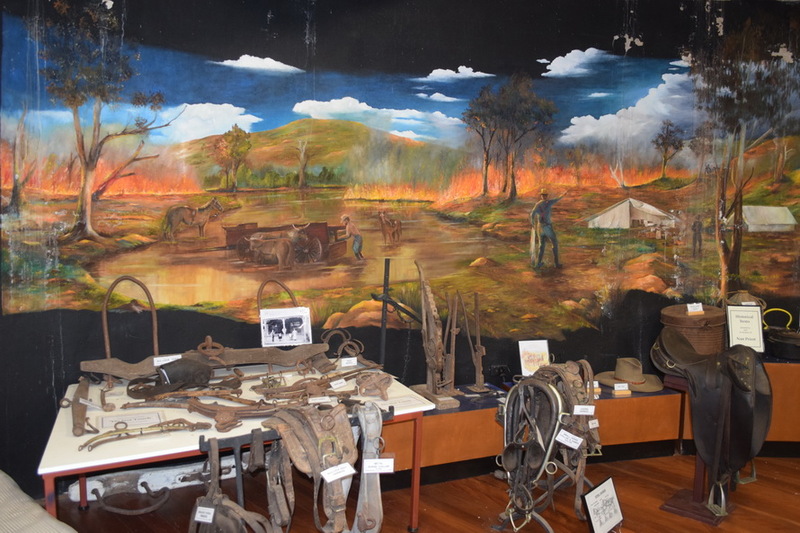 This military display comprises a large collection of war memorabilia including a treasured Australian flag that was hidden in Changi prison and brought home to Gunnedah. This display includes a collection of military uniforms featuring a rare Australian Women's Army Service (AWAS) winter uniform. 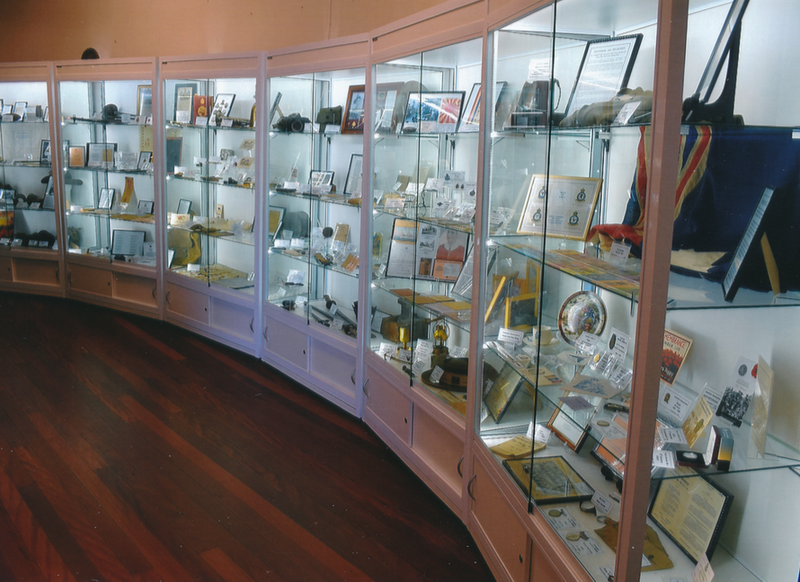 This display houses the collection of instruments used by Cyril A Smithurst, Pharmacist, of Gunnedah. Cyril A Smithurst, Pharmacist, Gunnedah (1935 - 1991). A mural of the explorer Thomas Mitchell is the backdrop for a collection of early tools and equipment used by the pioneers of the district. 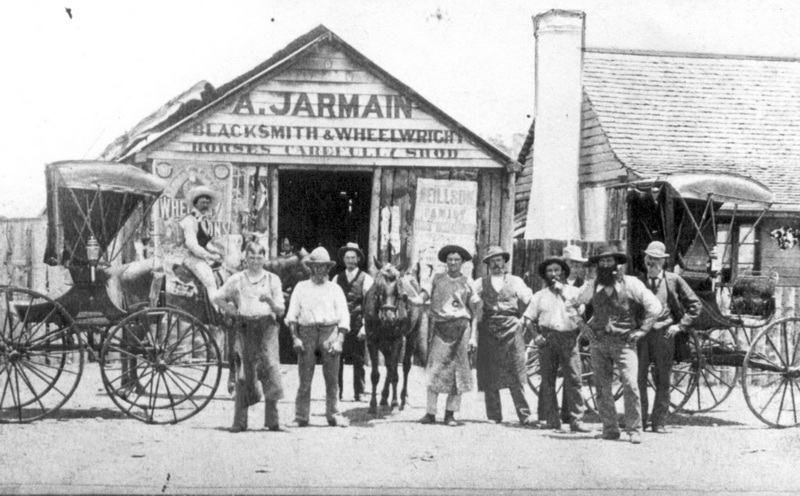 The Museum has a diversified collection of more than 4000 photographs of local history, people, parades, buildings, sporting activities, military personnel and school-class photographs. This collection includes books from Dorothea Mackellar’s library (some with inscriptions), photographs of the Mackellar family and photographs of the family property Kurrumbede which is located near Gunnedah. 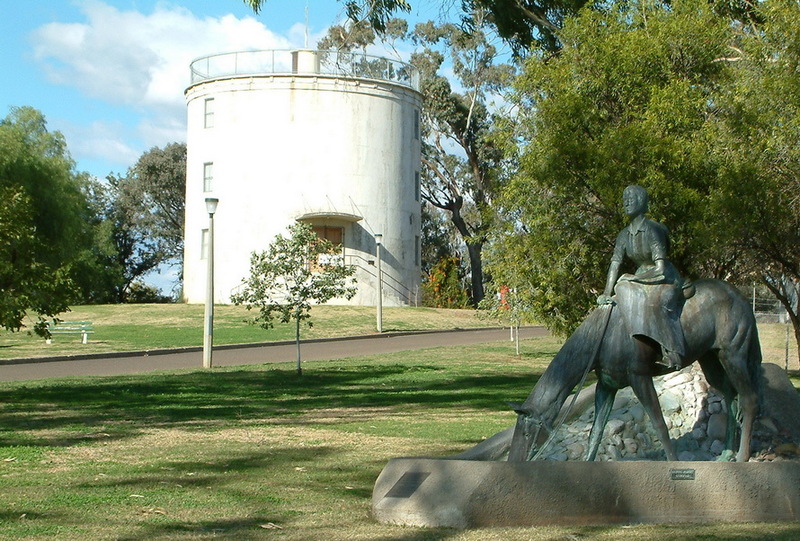 The Water Tower Museum is housed in an old water tower that was originally built in 1908 and was the first water reservoir to be constructed in Gunnedah. The museum has a large display of memorabilia, artifacts and archives with four floors and an observation deck. A feature of the museum is the mural paintings on the second floor which captures the very early Aboriginal and European history of the district. 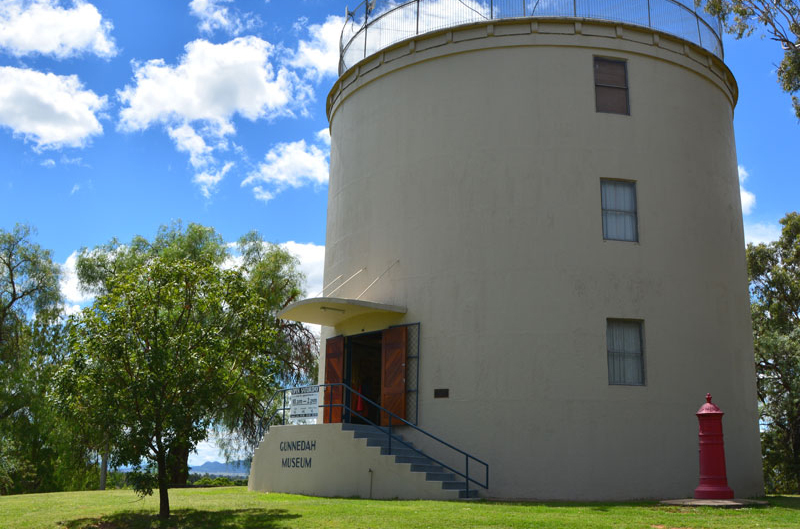 The Water Tower Museum is the permanent home of the Gunnedah and District Historical Society Inc. Sited in Anzac Park, near the Memorial Swimming Pool, the building has an interesting history. The reservoir remained in service until the late 1950′s when it was eventually replaced by a new steel reservoir that had been erected nearby. In 1968 work began to convert the old water tower into a unique home for the Historical Society’s collection of documents and articles. The result of this conversion is a basement, three display floors and an observation deck. The Gunnedah and District Historical Society was formed in 1963 at a public meeting held in the old Council chambers. The meeting was called by Alderman Frank O’Keefe who was then mayor of Gunnedah. 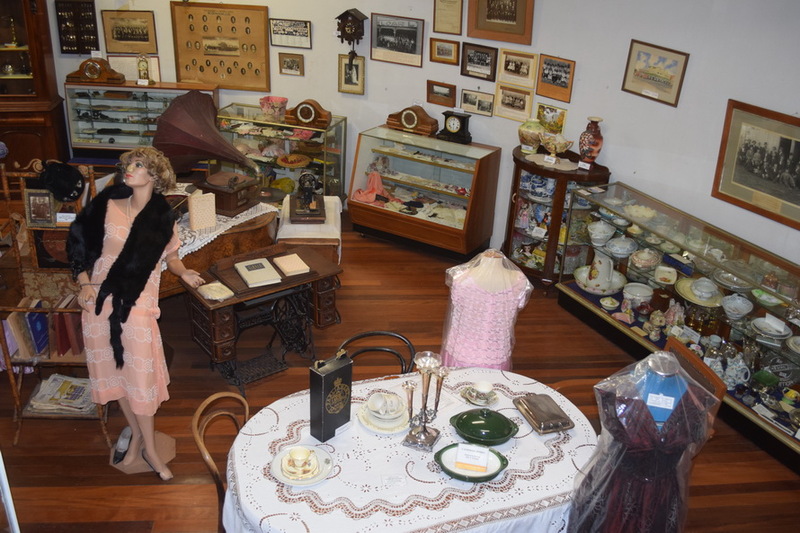 Gunnedah Municipal Council supported the Society by providing an initial home for the collection in the rear of the new Elgin Street Council Chambers and has continued to support the society throughout the years. Around this time the late Russell McDonagh, a notable local historian, had bequested his historical collection to the Society along with the donation of £167 to purchase a place to house his bequest. The McDonagh Papers still remain the most prized possession of the Society. By late 1967 after three years of searching for a new home to house the growing collection, the old water tower was selected as the site for a new museum. Work began on Saturday, 3rd August 1968. Twelve years later, on 3 May 1980, the Water Tower Museum opened to the public. Our database contains 4,458 records of names found on 23 War Memorials and Honour Rolls in Gunnedah and district. The museum has a large collection of historical records comprising newspapers, maps, personal papers, records of local businesses and organisations. Museum volunteers can assist with research at $10 / hour plus photocopies at 50c / A4 page and $1 / A3 page. A large collection of photographs are being scanned with about 4,000 completed. Digital copies of photographs may be purchased at $5 each. Black and white photocopy-quality prints are available at the photocopy prices above.